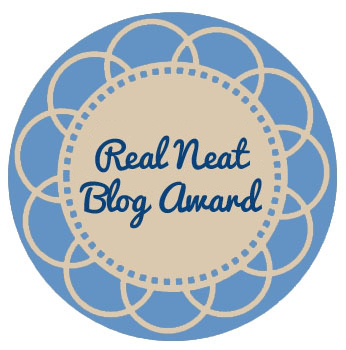 Zeirah nominated me for this Real Neat Blog Award that’s going around. It’s a good thing she did, since I seem to need inspiration and/or a kick in the behind these days in order to get a post up. Nominate 7 other bloggers and create 7 questions for them. Ok, first off, thank you Z! Everyone make sure you go read Z is for Zeirah, she has a lot of fun and loves to share it with us all. 1. 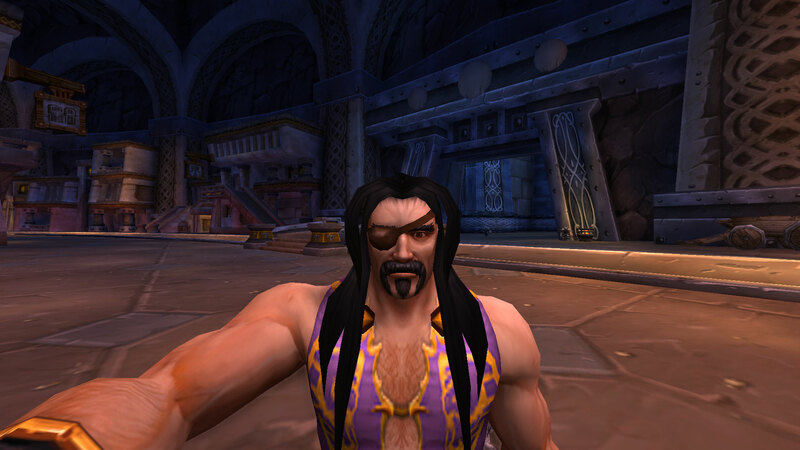 If you couldn’t blog about Wow anymore, what would you blog about? 2. What’s the best and worst thing about blogging? The best is definitely the friendships I have made in WoW because of it. I have joined guilds and raided at the highest difficulty with people I’ve met through blogging, and even been to Disney World with guildmates and been Maid of Honor at a wedding between blogging friends! All of whom I would not have met if we didn’t all blog. The worst is feeling guilty when I go weeks between posts. I kept up a two or three posts per week schedule though for what, 6 years? I probably should at least make an effort to get up one a week though, that shouldn’t be too onerous. 3. What’s your favourite achievement in WoW? 4. How long have you been playing computer games? Wellllllll ….. do I have to tell? Kids these days won’t even know what a Commodore or an Amiga is. And there was this thing called ‘dail-up’ that hogged up your phone line so no one could call you, and then your Mom would freak out because your phone was busy for hours and call the cops to come check on you. Oh. Yeah. They don’t know what a landline is, either. I also had to walk a mile in the snow, uphill both ways, for a bio break. Really! 5. If you could have one day to do anything in, what would you do? I’m not very exciting, I’m afraid. I have these days frequently on the weekends, where I just hang out at home with my doggies and we pile into the recliner with the remote, the tablet, and some snacks and watch reruns all day. This one channel has been running all-day seasons of White Collar the last three Sundays, so we’ve been watching that after I get home from church. 6. What’s your favourite food? Tacos. Hard shell, none of this soft shell stuff … gotta have that crunch. 7. Where do you prefer to go, Mountains or Beach? The beach is ok, but … mountains all the way. I’m no vampire, but I’m very much NOT a sun-worshipper, either. I also don’t like to swim and we won’t talk about the whole ‘middle-aged woman in a swimsuit’ look. Give me trees, hiking boots, a nice trout stream, pond or lake, and a good pair of binoculars for bird/wildlife watching. Heck, just send me back to Yellowstone, I didn’t get to see a wolf last time I was there. Now I have to nominate 7 people. These may not all be strictly WoW blogs, but they have all played at one time or another. And the hardest part, coming up with 7 new questions for them! 2. Do your characters have individual personalities? 3. Transmog, yay or nay? 5. What is more important to you, a good storyline or plenty of endgame activities? 6. How did you get started in blogging? 7. What kind of car do you drive? 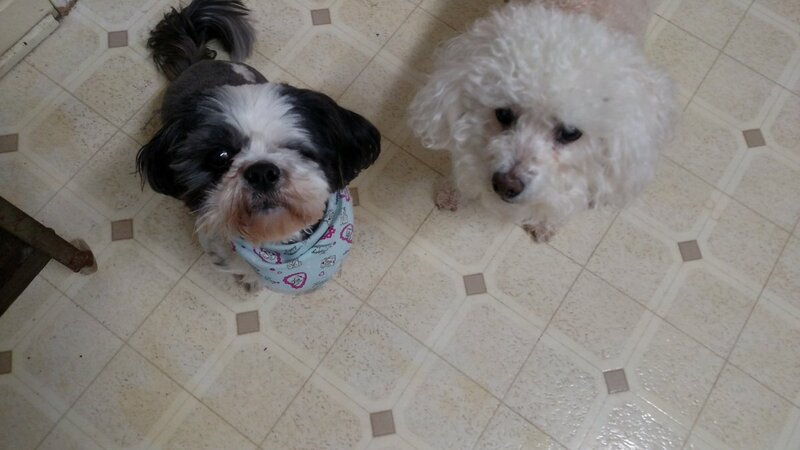 Z and Cinder do a weekly blog challenge topic that they post about and encourage others to join in and do the same. They link all posts for each topic on their shared blog. This week’s topic is one that I can definitely weigh in on so here we go! If I couldn’t play my main anymore, what would I be? Well, I already changed mains once going into Legion. Despite my love for my paladins and the knowledge that I would be wielding Ashbringer, I just .. couldn’t make peace with the ret playstyle. (We won’t even bother talking about healing, I quit that completely once I quit raiding .. pug healing stresses me too much.) So during the pre-launch invasion events I took out all of the classes for test drives and settled on what I felt was the most fun. Thus I have been a fire mage since Legion’s launch. I had mained mage in the past, although not with this particular character … but it would have felt wrong for my fire mage to be anything other than blood elf. It just feels *right* what with the weapon being Kael’thas’ Felo’melorn. Yeah I know, we’re already 17 days into the new year and here I am *finally* posting. But I figured I should at least toss up an update on how things are going. Oranis got a legendary in one of his emissary bags finally, Marquee Bindings of the Sun King. These give a chance for your next non-instant pyroblast to deal 300% more damage after consuming hot streak. Normally I NEVER hard cast pyro, using it only with hot streak. But this certainly makes it worth it, even with only a 15% chance. I still won’t usually cast it mid-fight when I’m running solo, preferring to use it to pull the next mob. Coupled with my favourite trinket, the Devilsaur Shock-Baton which slows the enemy when it procs, most things burn to ash without even reaching me. Junahu finished her hunter campaign so I am essentially done with her. 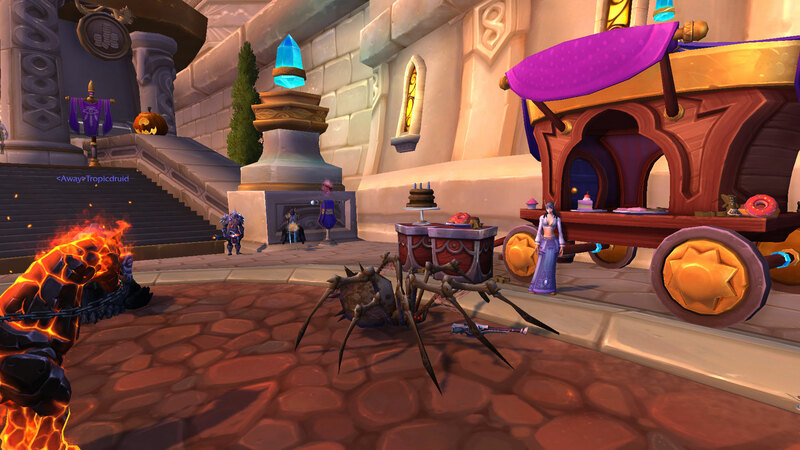 Kerick and Hunahuna, who reached 110 over the weekend, are both working on their campaigns and did the World Quest event over the weekend to get the bonus rep and the 5k resources. I suppose I should get back to work on leveling someone else to follow them. I think Kroy and Sanbec are probably the furthest along. Who … what? This isn’t a Blizzard game! Heck, it’s not even a PC game. You’ll just have to bear with me because BigBearButt posted about this game a couple of times and got me hooked. No I mean really hooked. Like, I’m looking stuff up and making spreadsheets hooked. Yeah. So, probably none of you will know what I’m talking about but that’s ok.
What a great week last week to have the pet battle bonus event. I managed to pick up and level 3 of the 4 new falcosaur pets, plus some others that will make some of the world quest achievements easier. Why only 3 and not all 4? PSA Make sure your pet journal is not capped when you go to get these. I found and fed the Orphaned Sharptalon, but my journal was maxed so he wasn’t added to it. ‘No sweat,’ I said to myself, ‘I’ll just cage some of these dups I’m sitting on and try again.’ Yes, well … because of they way they did it, where it goes right into your journal instead of into your bag, means that once it’s done, it’s done, the quest to obtain it is complete and if your journal is full you are SoL. The only way around it is to do it on another character. SO .. I guess getting another alt to 110 moves up my priority list. I have a couple at 106 so it won’t take too much, I just need time to do it. One of my favorite world quests is the one in Highmountain where you turn into a creature and get back at the hunters. 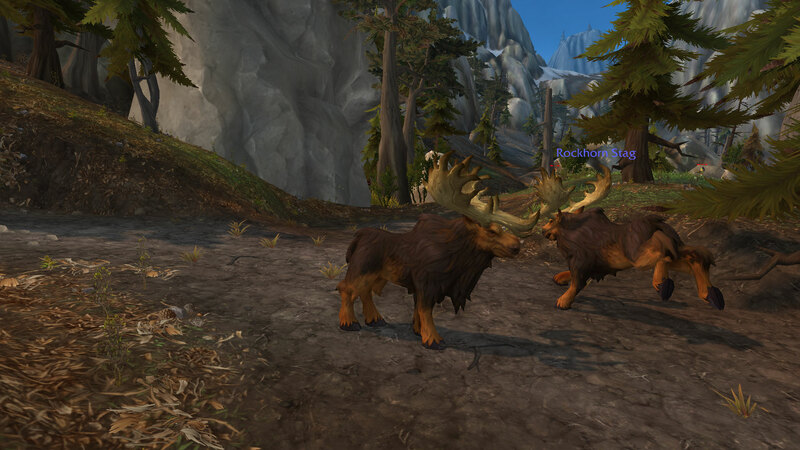 The cat is plenty fun, but my favorite is getting to be a moose and butting them into oblivion with my antlers. Also fun was this new transformation when getting tricked at Hallow’s End. I didn’t go out of my way this year but the characters that were in Dalaran hit the one in the Legerdemain. Look out peeps, this spider’s got a gun! Also, that Kosumuth thing is up this week. I’m still clicking orbs, and I think once I finish that I have to go kill him inside Eye of Azshara to unlock the world quest. I’m not quite sure how to accomplish that because I’ve only done dungeons through LFD. Time to do some research.